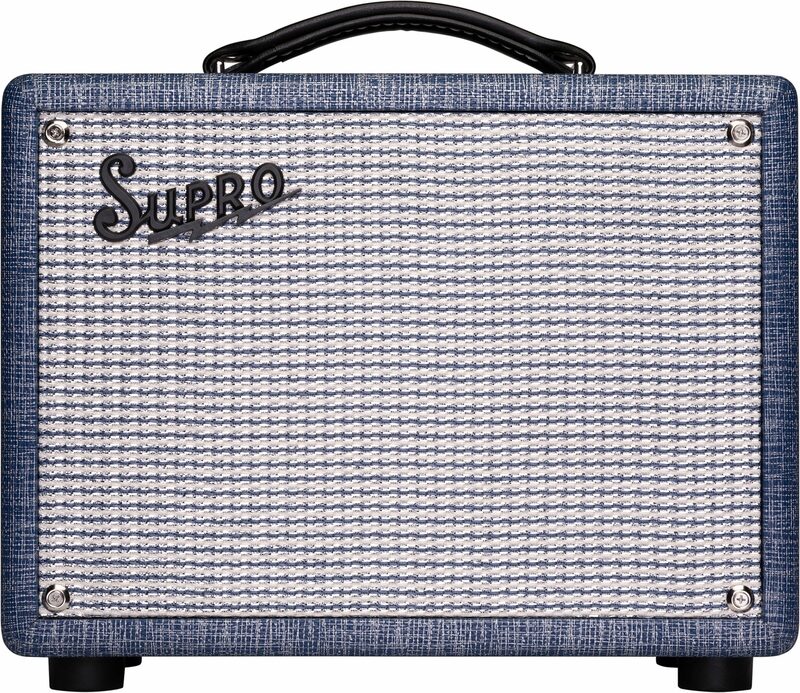 The Supro 1605R Reverb amplifier is a 5-Watt, 1x8 combo amp with tube-driven spring reverb. This ultra-compact and gig-ready amplifier provides independent gain and master volume controls, along with a 2-band EQ and three tube-driven line-outputs optimized for feeding another guitar amplifier or recording console. The trio of line outputs is driven by the preamp tubes--before the master volume--allowing the player to tame the on-board speaker down from gig volume to be used as a bedroom rig, as well as an all-tube outboard gain/reverb effect unit and direct recording preamp. The WET output provides 100% wet reverb signal; the DRY output provides 100% dry signal from the preamp; and the MIX output carries a blend of dry and reverb signals that can be attenuated by a variable level control on the MIX output. When the WET output is used, the reverb signal is removed from the onboard speaker output, allowing the player to pass the reverb sound along to another amplifier while still hearing the gain from the 1605R's tube preamp in the onboard 8" speaker. 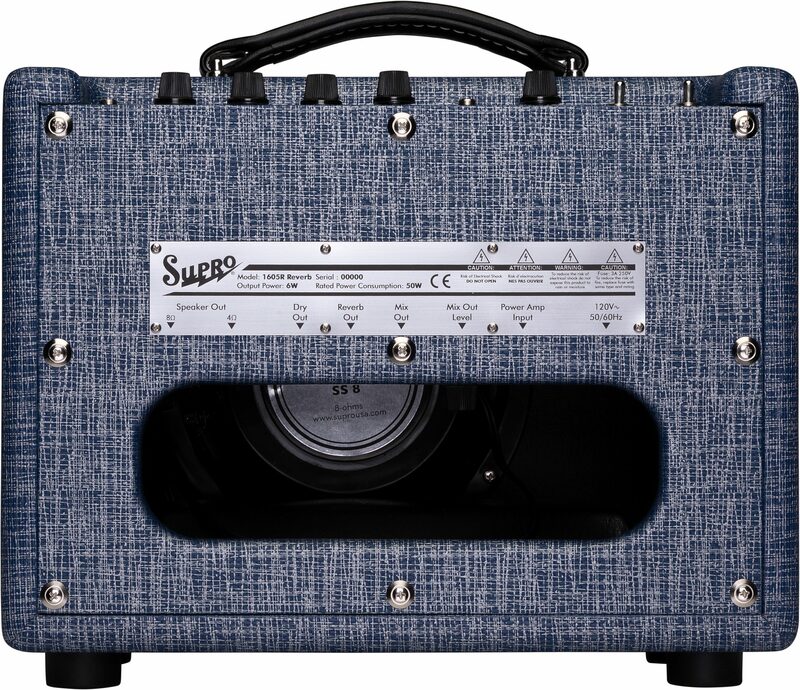 When the DRY output is used, the unaffected sound of the guitar is removed from the onboard speaker output, allowing the player to pass the gained up dry sound along to another amplifier while still hearing the reverb effect in the onboard 8" speaker. 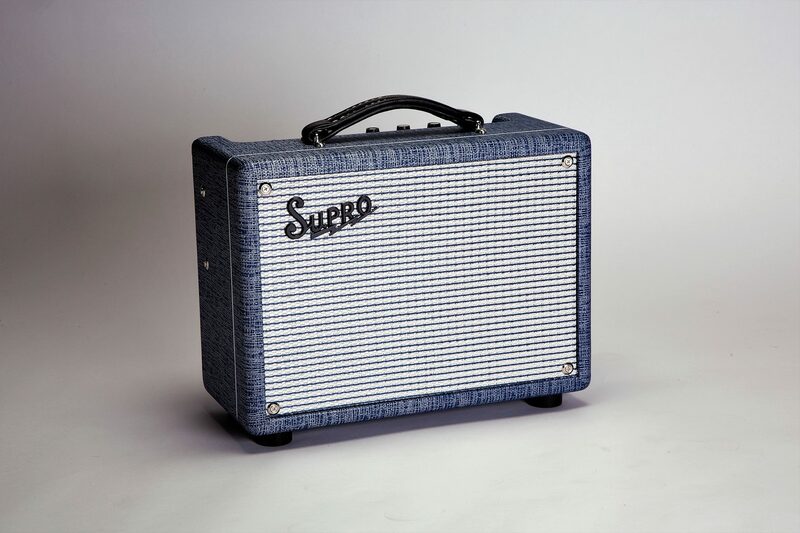 In order to capture the sound of the vintage Jensen speaker found in the original Supro amps of the early 1960s, the 1605R Reverb model features a custom-made 8" speaker that was designed by Eminence and Supro with help from Iowa State University, where we were able to laser scan and recreate the speaker cone from a "golden sample" of a Jensen speaker from our favorite vintage Supro amplifier.